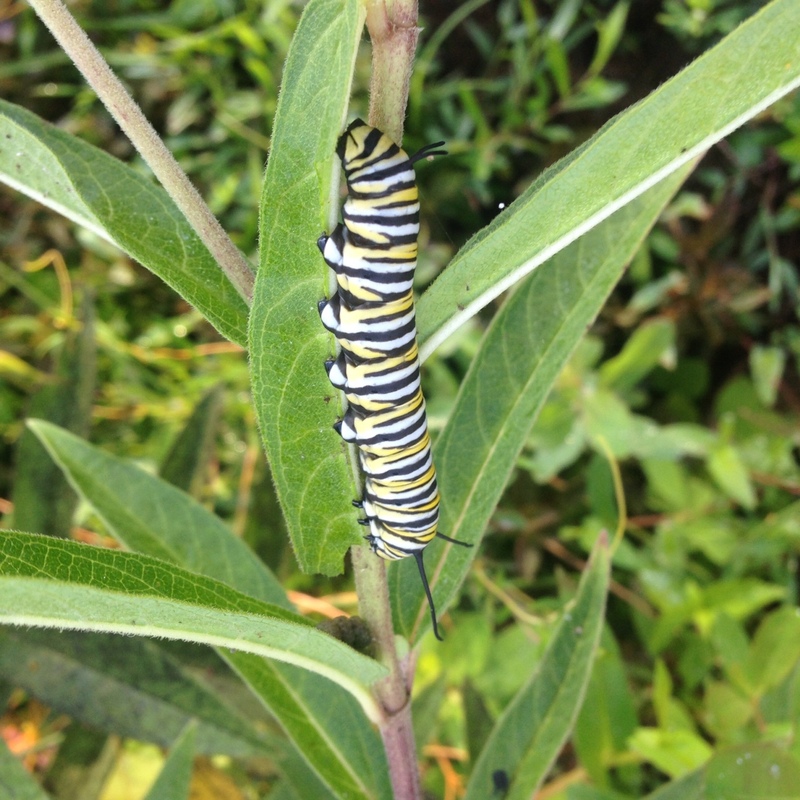 In case I spoiled your breakfast with the carnivorous devouring of an adult Monarch’s brain, here’s the famous caterpillar stage of Danaus plexippus. Spotted in Virginia recently. 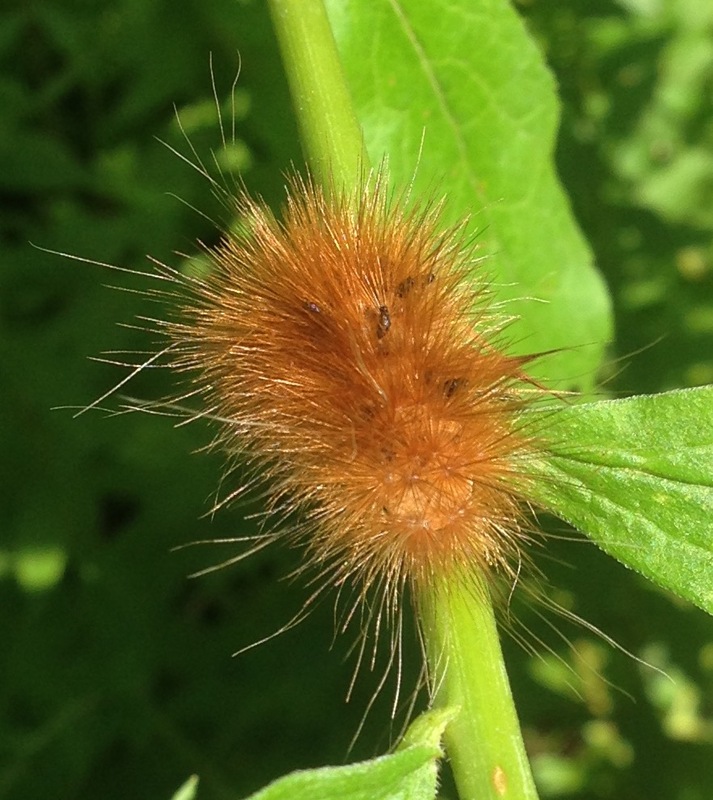 Although the Yellow Bear caterpillar is named Spilosoma virginica, this one was spotted in Westerchester Co., NY. It’s a Tribble! And it looks like it might have some mites on it. 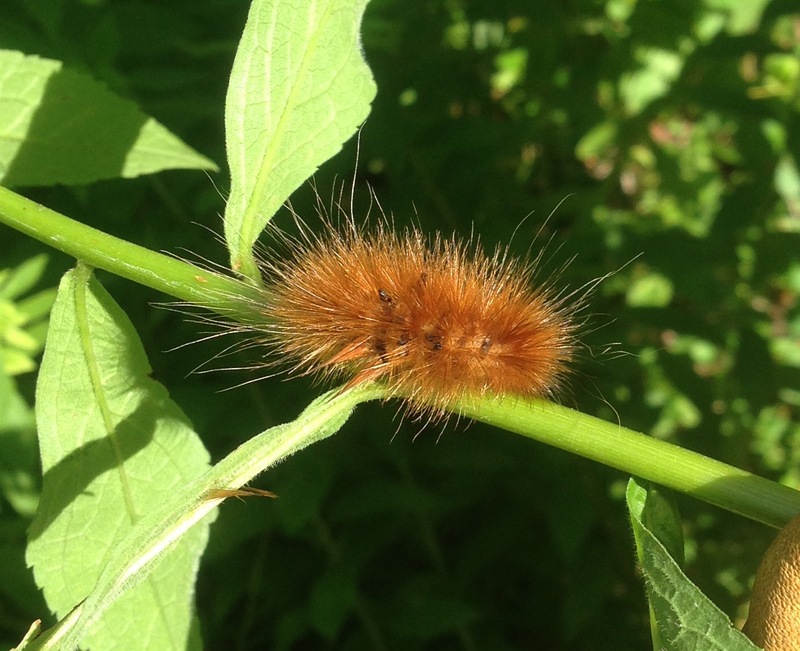 The moth of this species is resolutely unspectacular, but the caterpillars are, in David L. Wagner’s words, “exceedingly variable in coloration, ranging from beige or yellow to dark red-brown or nearly black.” The very long hairs are key to ID. Here’s an example from Staten Island. Another from Prospect Park. Insert exclamation point. 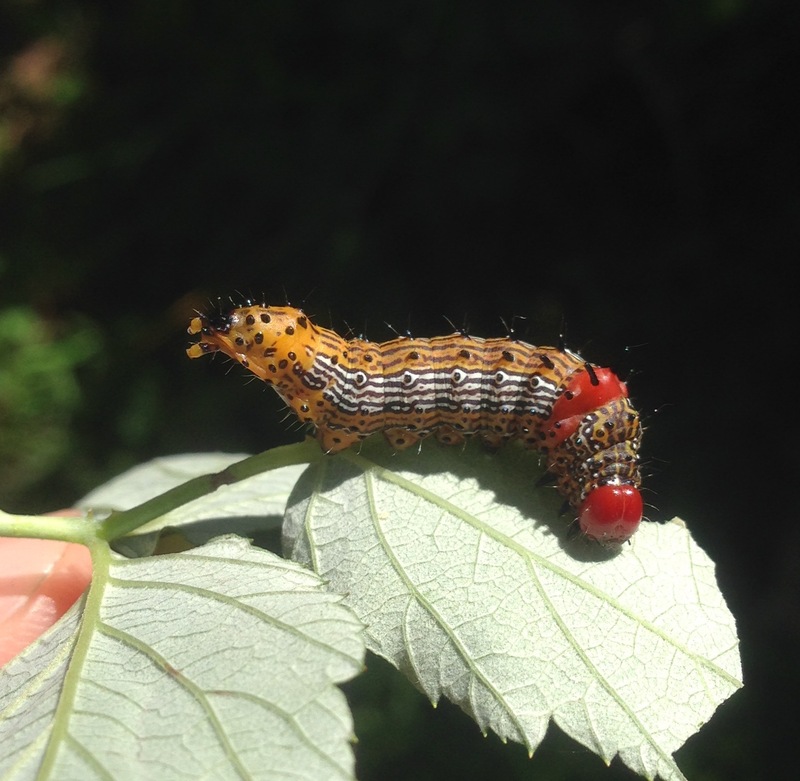 This is the Redhumped Caterpillar (Schizura concinna). Nothing else looks like it in these parts. 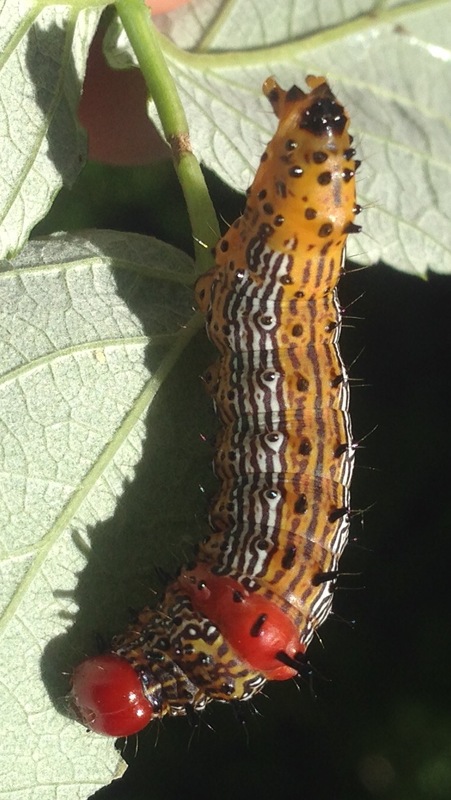 The raised rear end is a defensive posture, one of a number of which-end-is-which caterpillar strategies . Such flamboyant patterns (check out Wagner’s book, Caterpillars of Eastern North America, for an excellent guide to the amazing world of caterpillars) are warnings. Or fake-outs. This specimen was found on the same property as the Yellow Bear. Alan: these were all taken with my iPhone 5 and cropped with the in-phone tools. I find it does better close-up work than my Canon SX50, if I can get it close enough to the subject. Good timing – I think I may have seen these in S.E. Arizona last week, and had no idea what they were. Most of the ones I saw were yellow, and were on various types of vegetation – bushes and grasses.